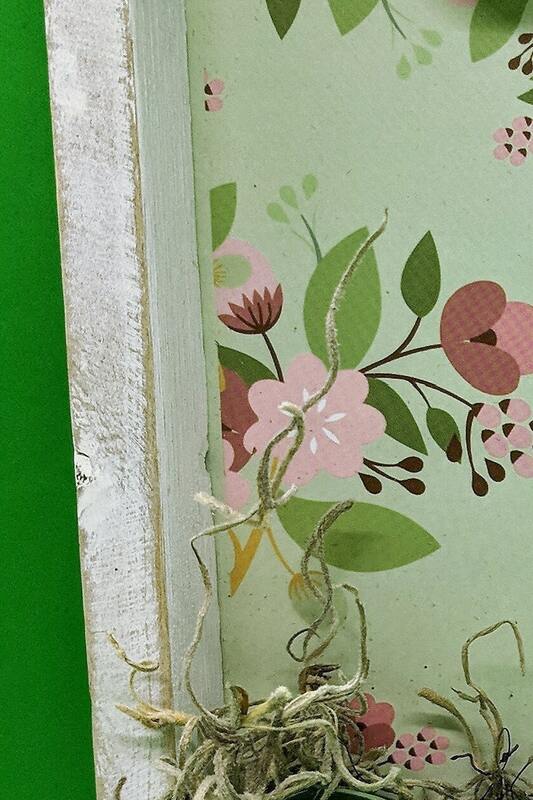 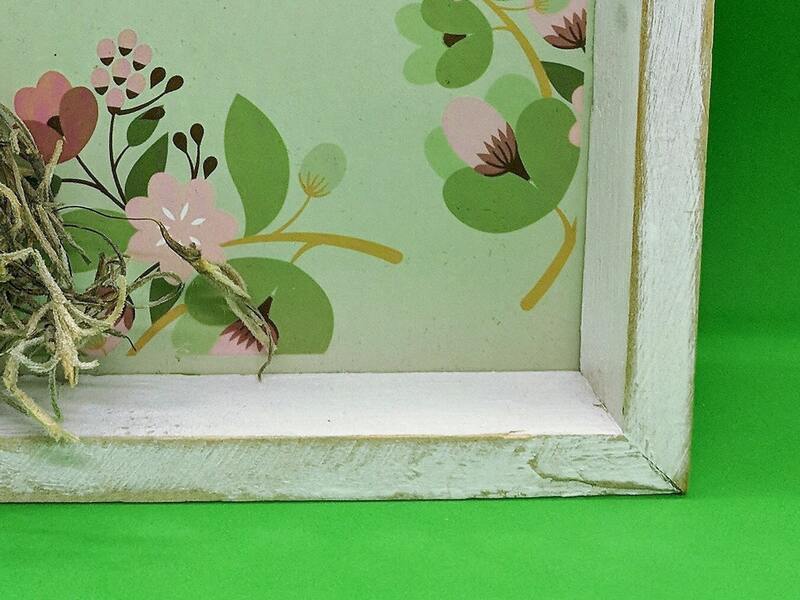 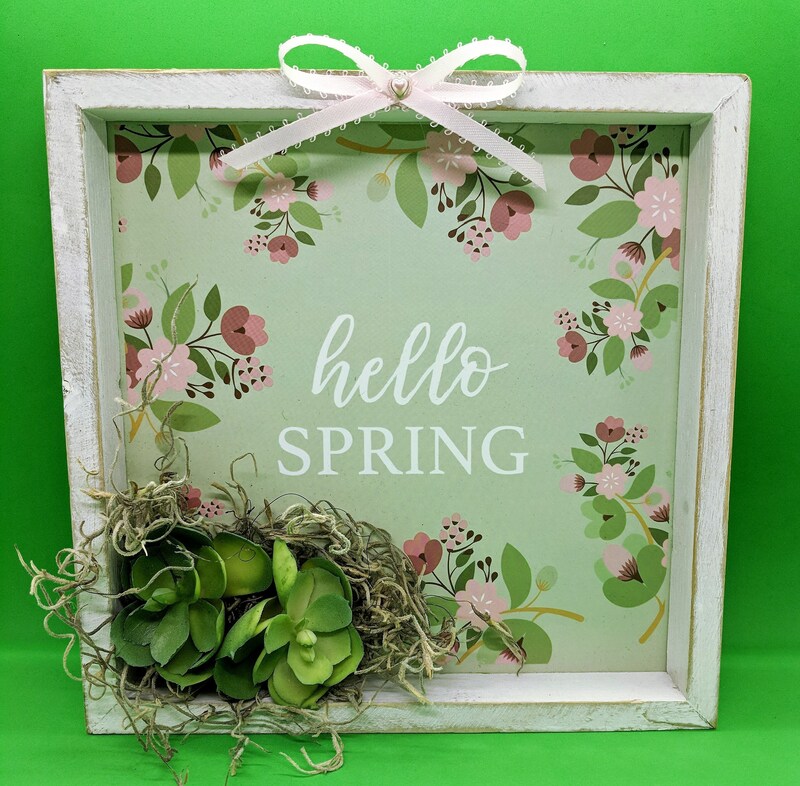 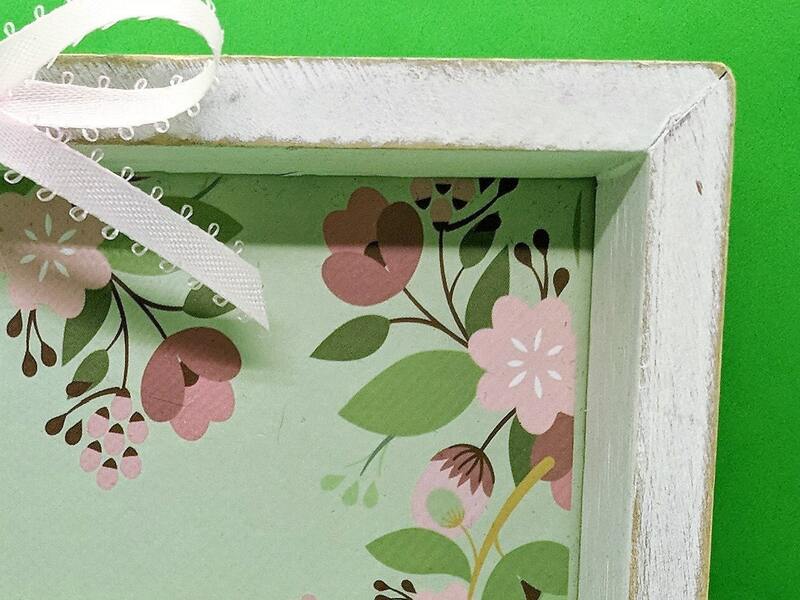 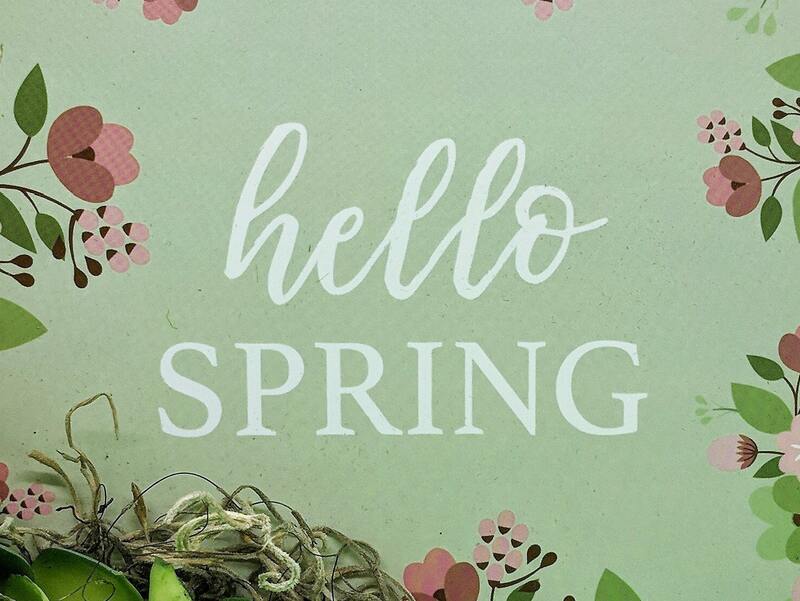 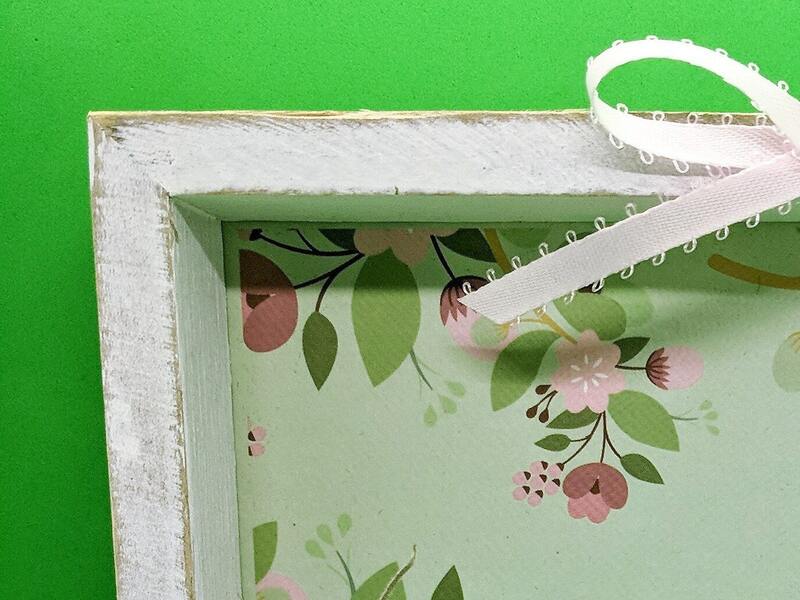 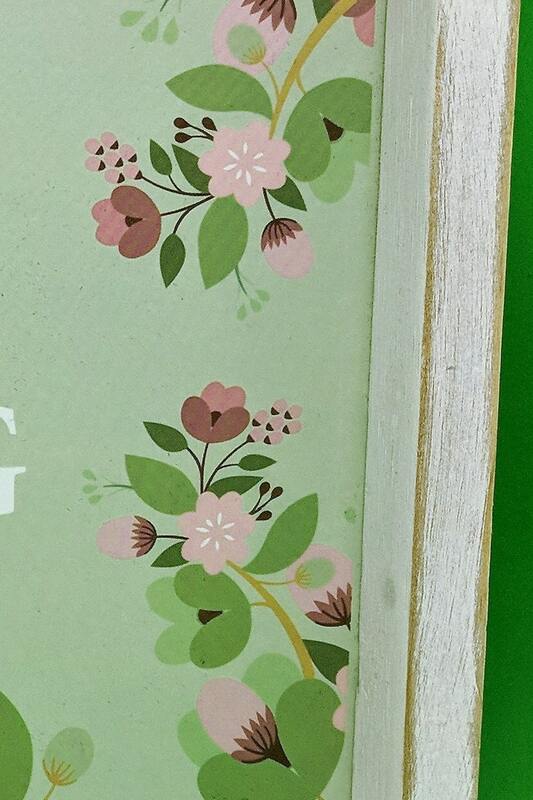 "Hello Spring" Wall decor is nestled in an 8 x 8" whitewashed frame with floral accents on mint green paper. 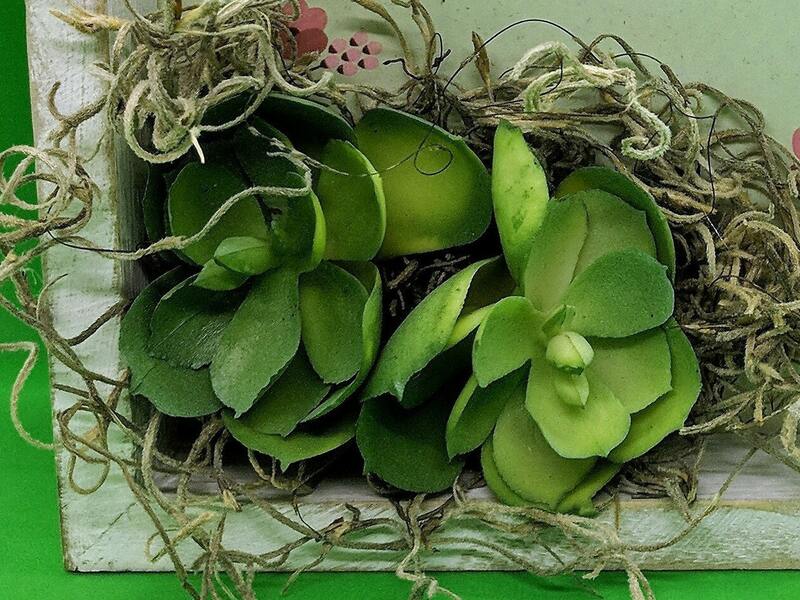 Two small succulents and spanish moss are the floral embellishment. 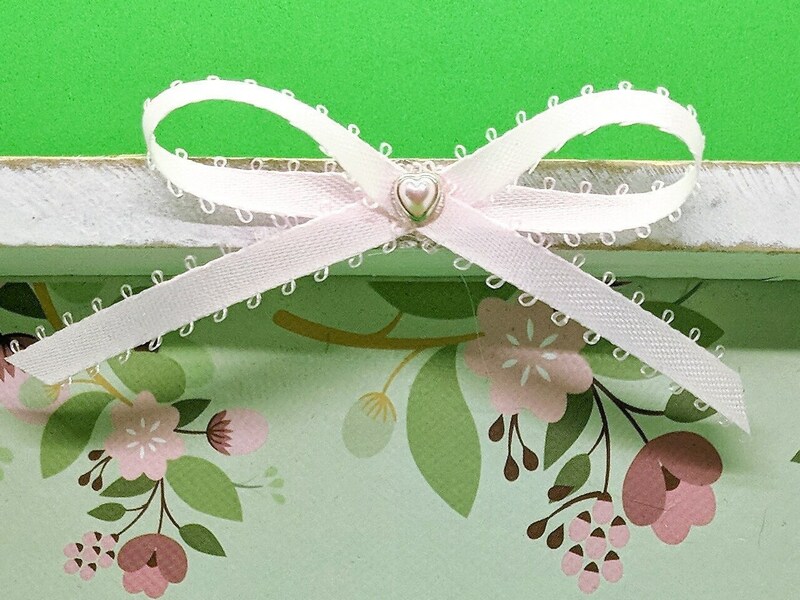 A light pink picot bow with a metal heart completes the look. 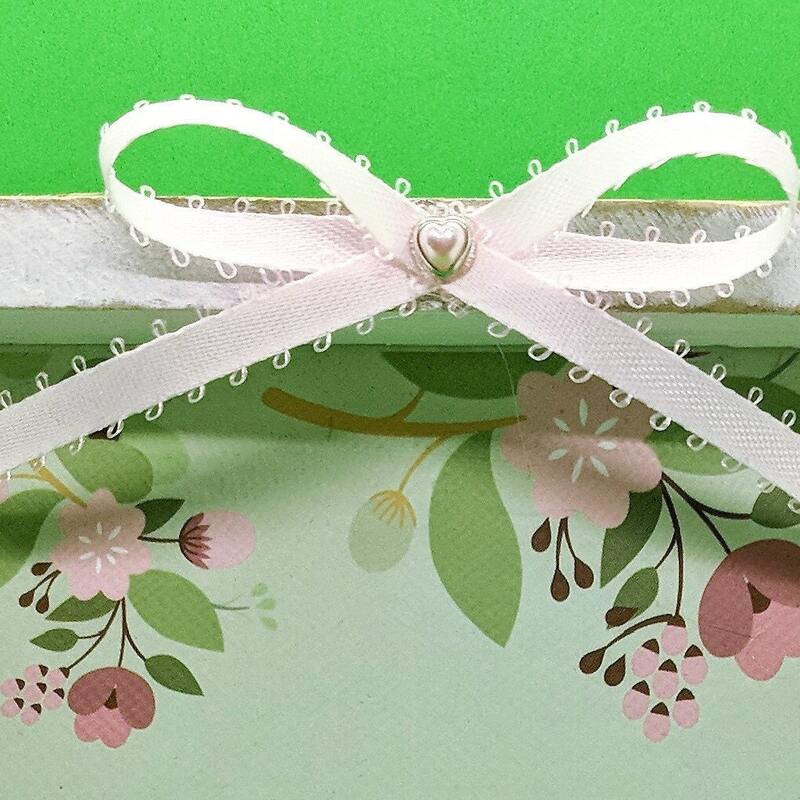 Finished size 8 x 8 x 1.5"